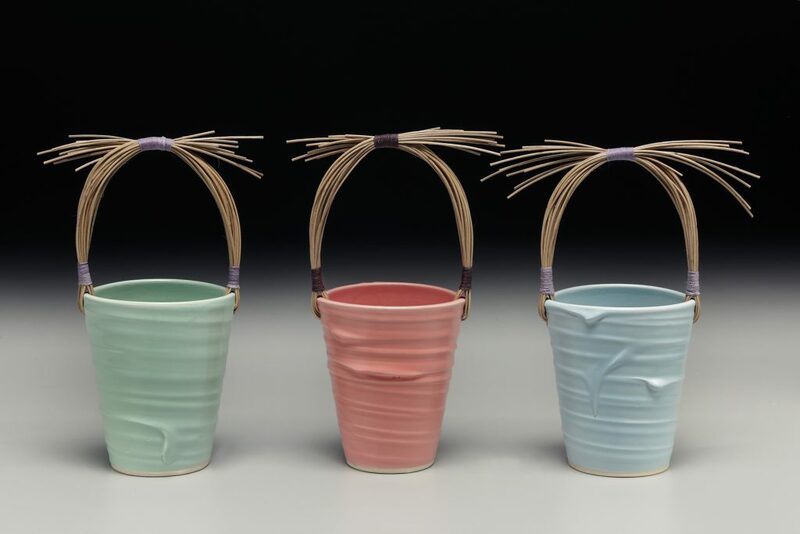 The Feature Gallery showcases new works by our Resident Potters, and periodically will host theme shows with work from each of our artists. 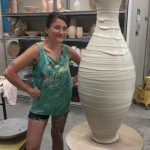 We’ve switched up the location of the Feature Gallery to give some of our ISM Studio Alumni a showcase. 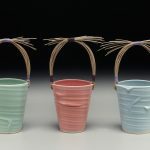 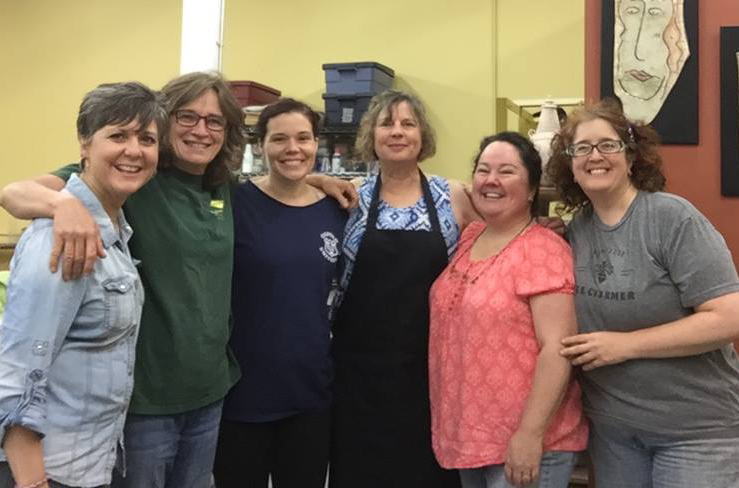 These three artists have completed the ISM program, and each are in the process of launching or continuing to develop their businesses as craft artists and makers. 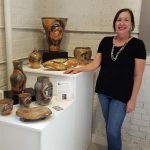 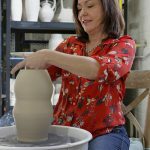 Tori Motyl not only developed her luscious slip-textured pots during her time in our ISMP, she also helped launch the North Carolina Ceramic Arts Festival, celebrating its third year this Fall in downtown Asheville! 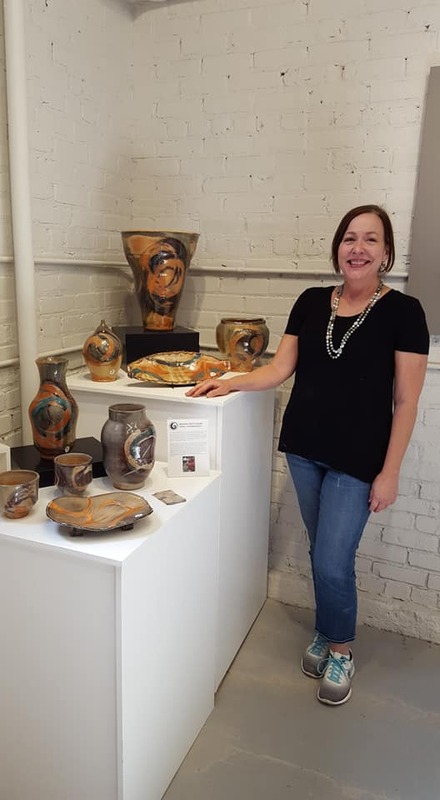 Catharine Healy came to the TVPCC ISM Program already an accomplished Interior Designer, and during her time with us she has developed a distinctive voice in ceramics with textures and Shino glazes. 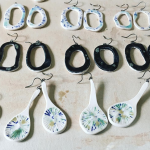 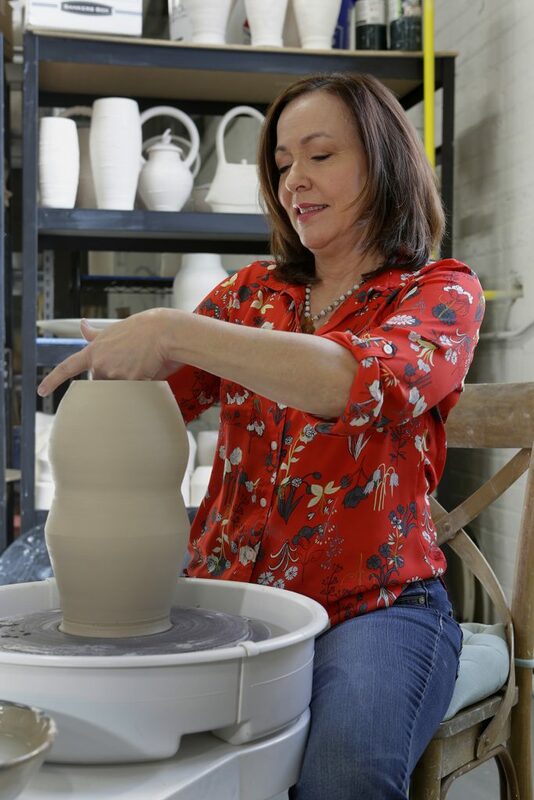 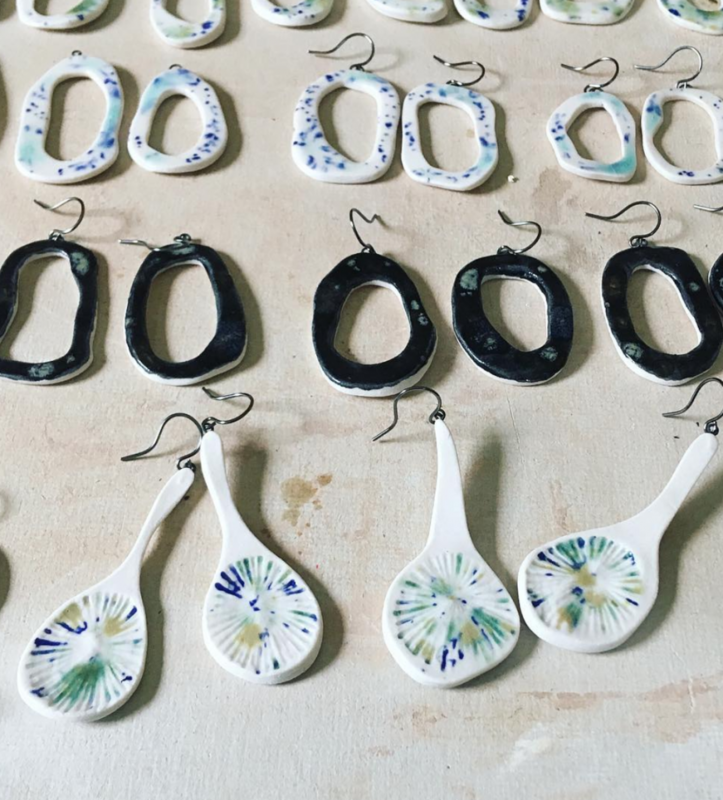 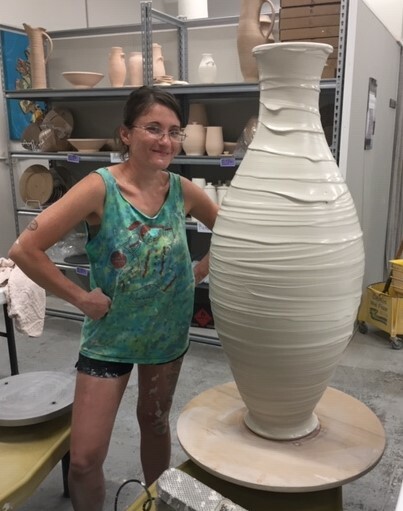 She now incorporates her ceramic work into her design aesthetics for her clients, and has just completed building her own kiln and studio where she shares space with other ISM alumni. 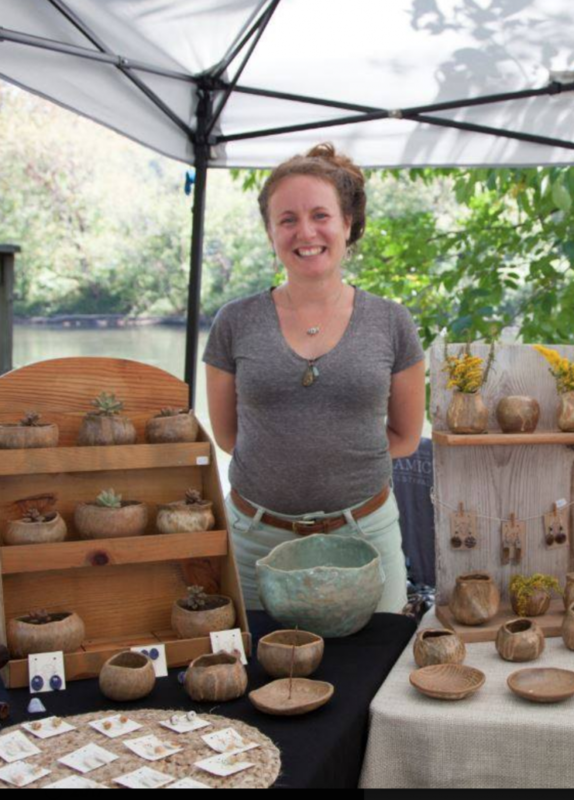 Stephanie Gesswein is a nature-loving artist who infuses her passion and enthusiasm into her work. 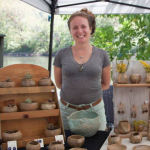 A talented hand builder making organic pinch pots, Stephanie also makes beautiful stoneware and porcelain jewelry, and that is what you will find in our Emerging Artist Gallery.